It proved to be the coldest Cookies and Cocoa ever! It was gorgeous outside but the roads were icy and snowy all over Louisville. There were winter weather advisories and weather related closing everywhere that weekend. I remember thinking on Friday (and telling Jeff I am sure) , if anyone would actually come to grab a cookie and some hot chocolate. I even pulled back on a few items and baked only 4 dozen chocolate chip cookies. 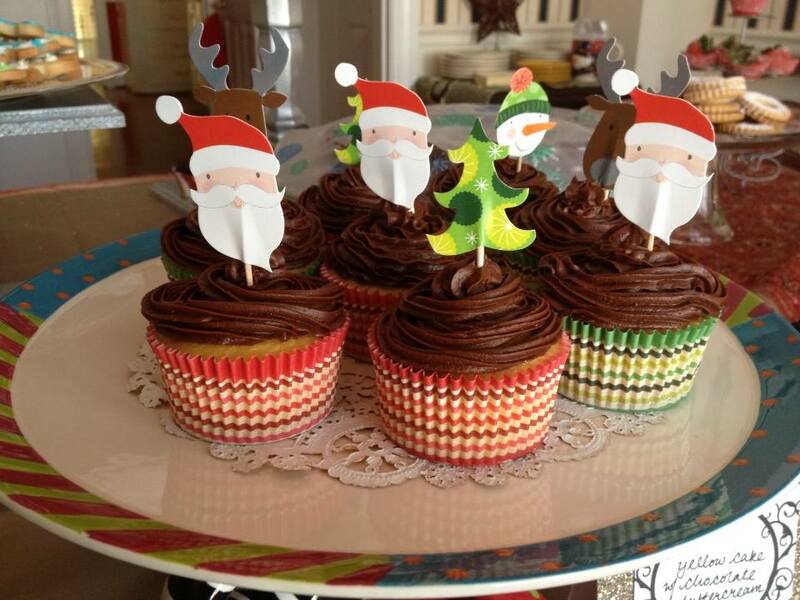 I myself was not able get the usual flowers and greenery that I typically deck the house out during Cookies and Cocoa. 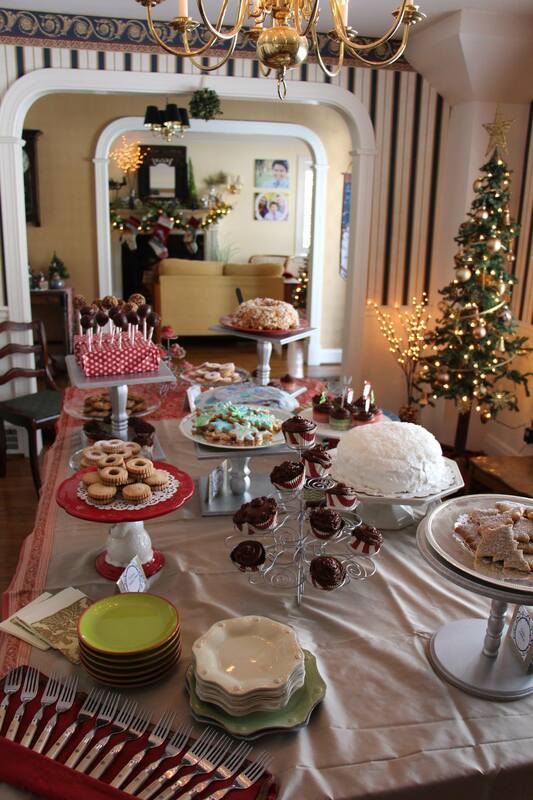 Well, Saturday turned out to be our best attended Cookies and Cocoa day ever. And we had a great turnout Sunday starting at 11 a.m. It was wonderful to see so many friends and neighbours, who trudged through the snow and ice to come and celebrate with us. I love seeing everyone and their children. It would make any day so special and create memories that are fantastic. We had such a good time all weekend, spending time with so many different people. I remember looking around the house on Saturday night, when every room was filled with friends from work, from Power Creative, from church, the neighborhood, Shelby Co and I remember being so grateful. I wish I could capture the whole weekend and store it away – the sounds, the smell, the laughter, the stories and the sudden burst of laughter (Have you ever met my friend, Eileen?). It was amazing to remember is all now. Our new friend Ally, who is terrified of bears, was telling an old friend Valerie, about her fear of bears. It was a dramatic story, which had a fair amount of truth and exaggeration intertwined. Valerie,who showed up right on time even though I forgot to text her. She remembered that it was the first, full weekend in December and surely it would be Cookies and Cocoa? Little Millie who gave me the biggest hugs when she arrived because she missed me that much (I sneaked her extra cookies when her parents were not watching). My friend Eileen who has the best laugh ever and who is the best friend anyone could ever have. God dished our a very generous round of personality when he was fashioning her! You want to be in the room where she is, laughing and telling stories.Then, horror or all horrors, we ran out of Hot Chocolate and there was Jenny who I would trust with just about anything, who was more than willing to make it. When I needed more Hot Chocolate and Jenny had left, I had to trust my husband and Valerie to make it, and they managed to stumble through. Although, how they managed with all that talking and laughing I am not sure. What an awesome weekend. This is why we do it every year. We love seeing everyone, spending time with our friends, introducing friends from different circles and see new friendships take root. 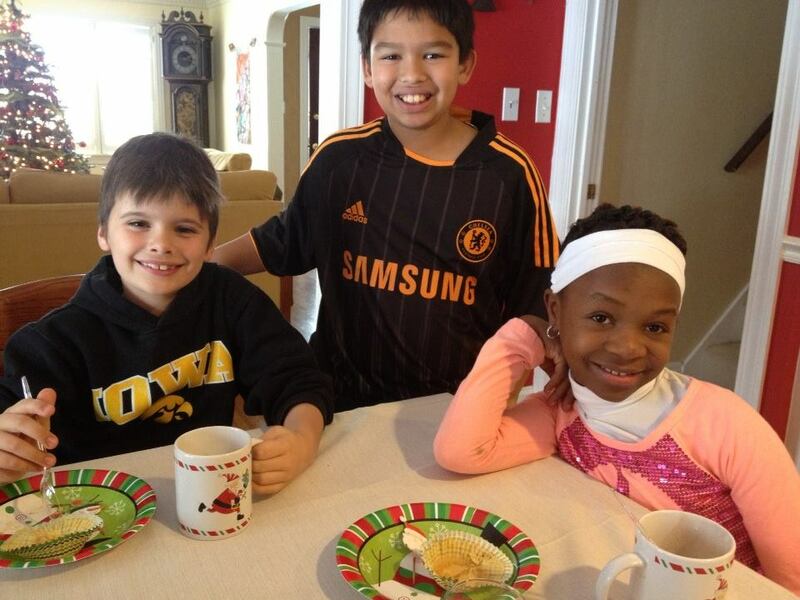 Here is Andrew enjoying some Hot Chocolate with his Greathouse buddies, Mason and Nate. This year, he took an active role to invite his friends and they were having their own party downstairs in the basement. 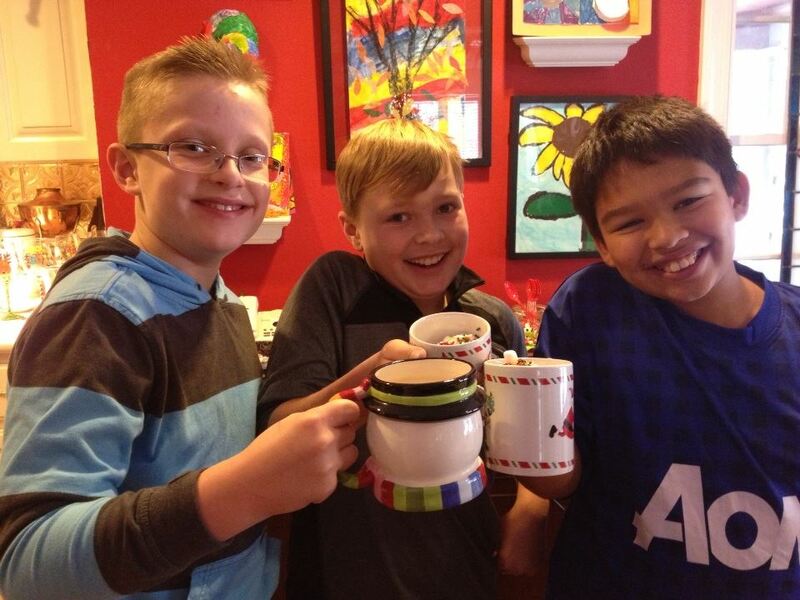 Andrew, Mason and Nate enjoying a well made and well decorated cup of hot Chocolate. 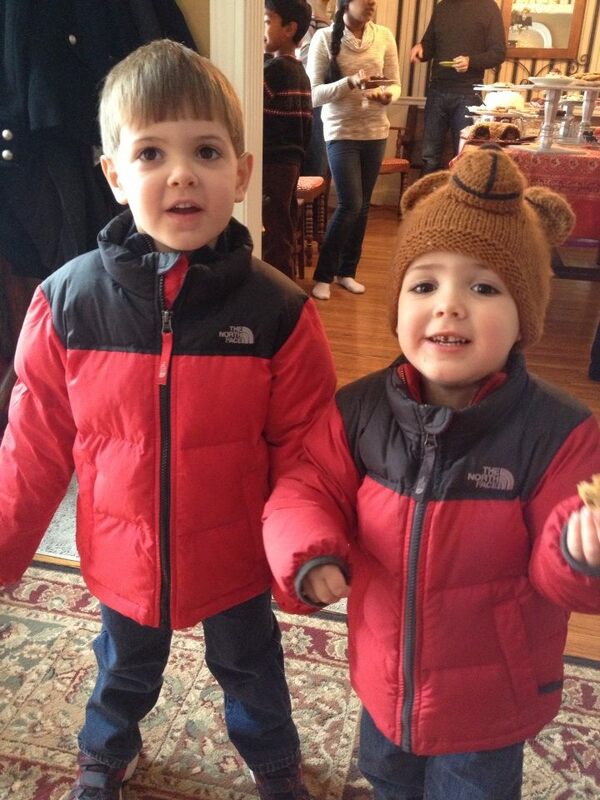 My little friends Brayden and Charlie really enjoyed the sugar cookies. How adorable are they? 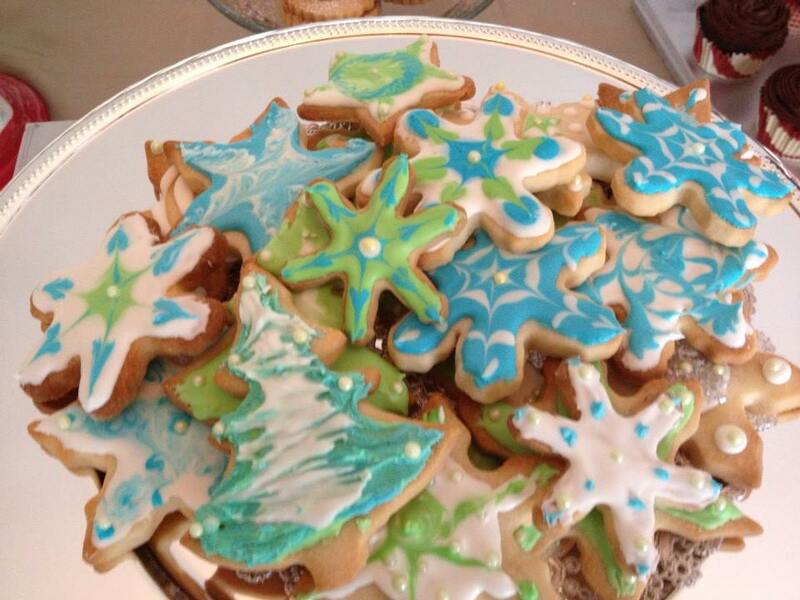 Brayden and Charlie did enjoyed the sugar cookies. You know how every party is different. Last year, I had so many Cake Balls left over after the party. So, I cut down the number that I made. This year, they were all gone on the first day. It is amazing to me how different things are popular at different times. 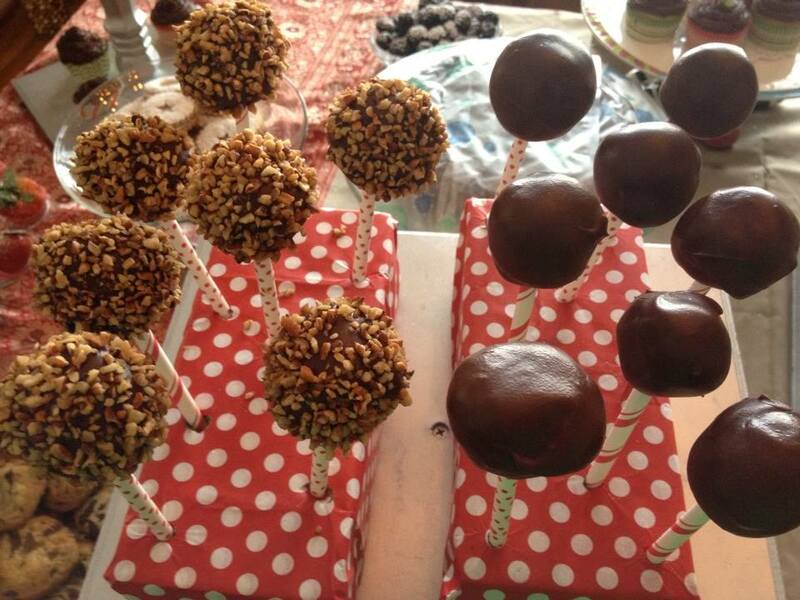 Cake balls were a big hit this year. 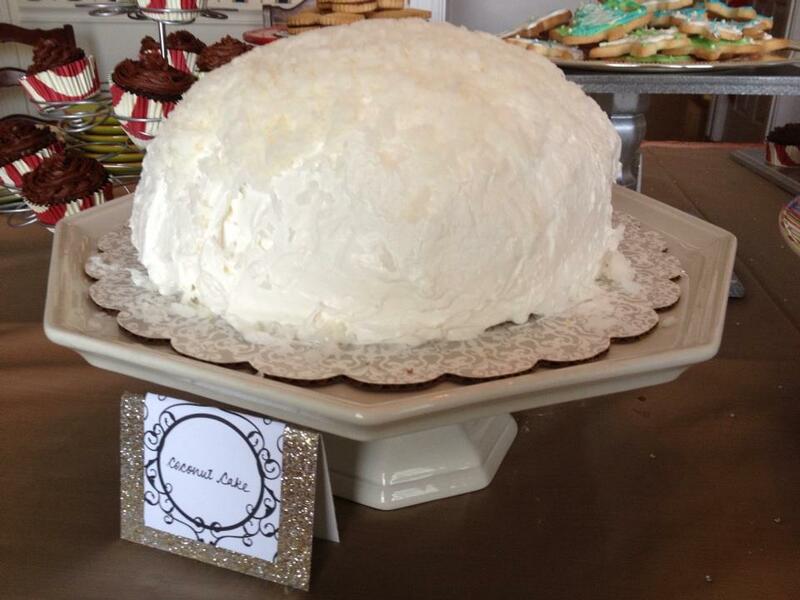 This is the famous Coconut Cake that everyone drools over. I made two this year just to make sure I would get a slice! Once again, its popularity is rivaled only by the humble Chocolate Chip Cookie. 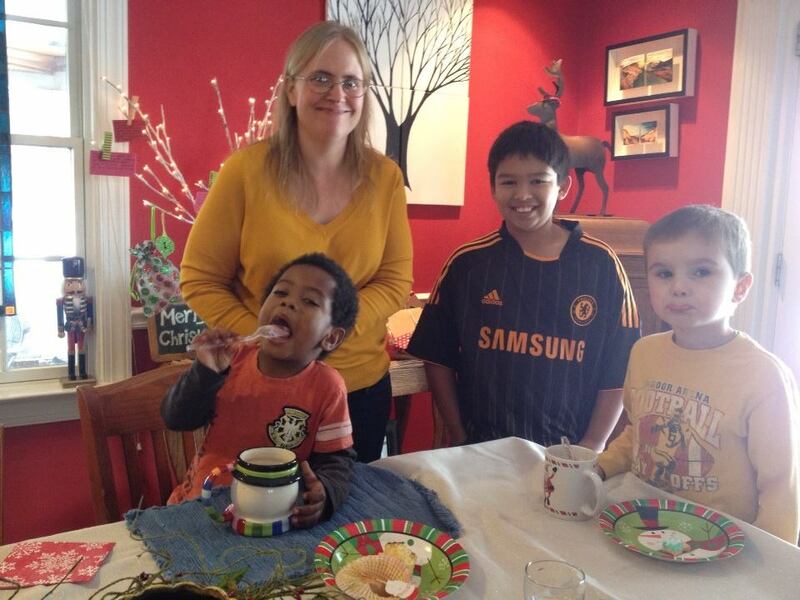 Shannon having a great time with Andrew and the Chase kiddos. They all did not want to leave and were very upset at their parents when leaving. 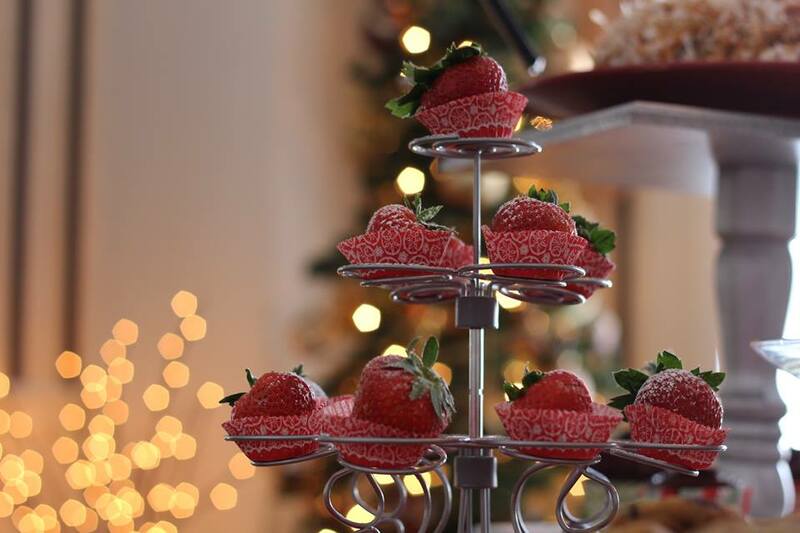 #successfulparty I would not want to leave a party that was free flowing with chocolate chip cookies and a Hot Chocolate bar. 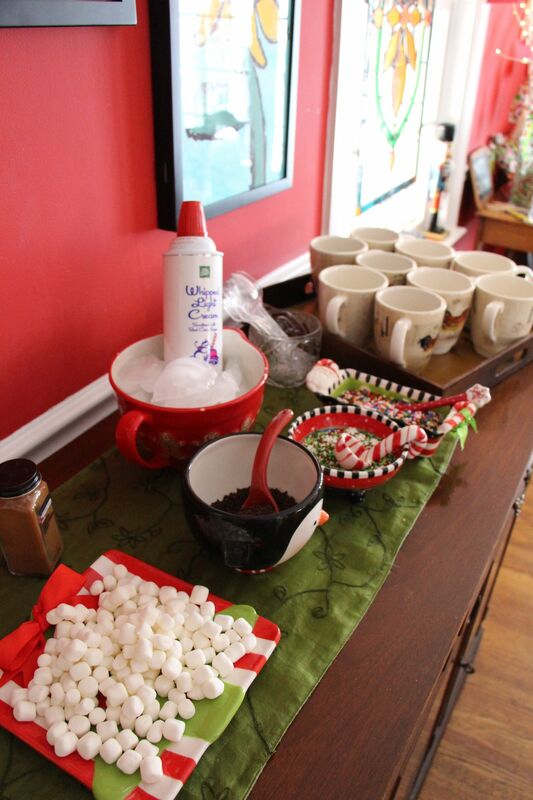 Our Hot Chocolate Bar is always a hit with kids and adults. 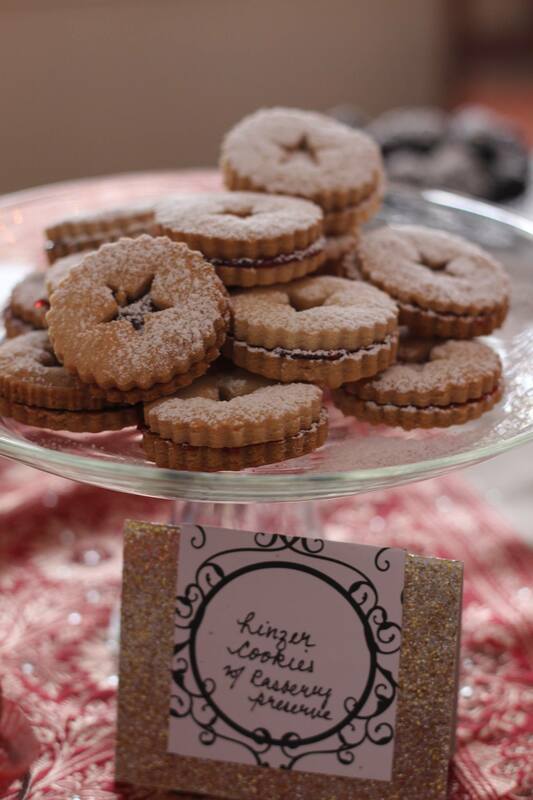 Here are our beautiful Linzer Cookies that take forever to make but totally worth the time and effort. 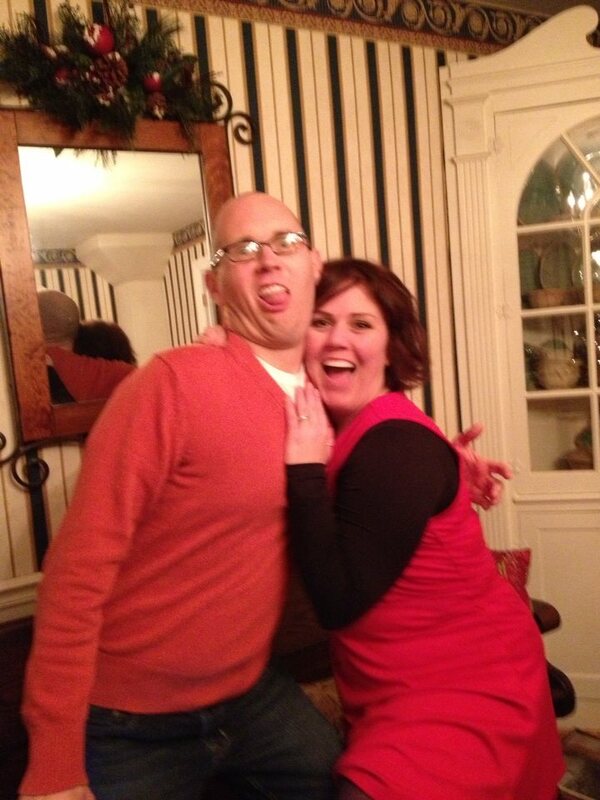 Glenn and Kelly are always good for great stories and a fantastic pose! Some beautiful strawberries for a “healthy” option! I am so sorry we missed it this time. 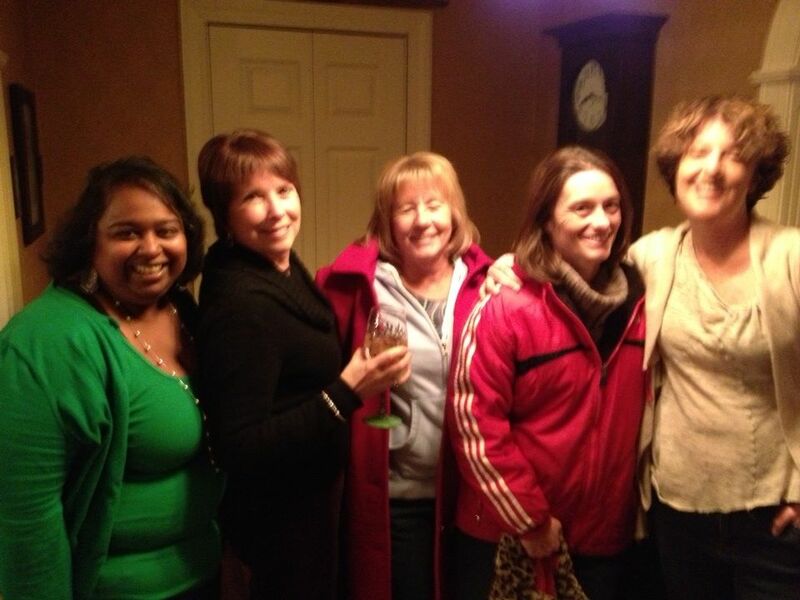 And so are the girls. Hopefully we’ll be back next year. And we definitely missed the Smith girls. Cookies and Cocoa 14 will be here before you know it!